DK Eyewitness Travel Guides: the most maps, photography, and illustrations of any guide. 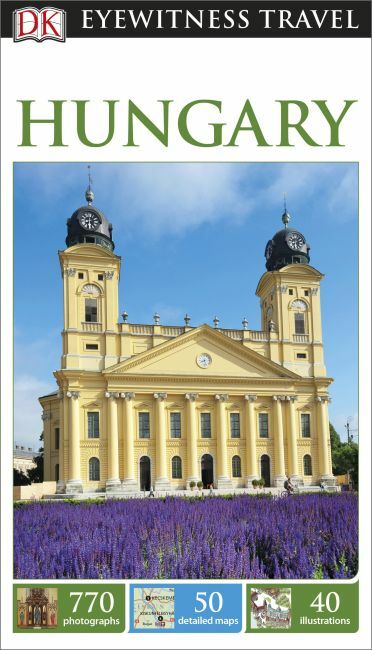 DK Eyewitness Travel Guide: Hungary is your in-depth guide to the very best of Hungary. With insider tips to make your trip to Hungary a success, our DK Eyewitness Travel Guide is the reference you'll want at your side when exploring the best restaurants, cafes, and hotels in Hungary. Visit the cities of Budapest and Danube, check out a cowboy show, or take a day trip around the countryside. We have the best travel tips for any budget, as well as ideas for fun activities for either the solitary traveler or the family with children. -Detailed itineraries and "don't miss" destination highlights at a glance. -Illustrated cutaway 3-D drawings of important sights. -Floor plans and guided visitor information for major museums. -Guided walking tours, local drink and dining specialties to try, things to do, and places to eat, drink, and shop by area. -Area maps marked with sights. -Insights into history and culture to help you understand the stories behind the sights. -Hotel and restaurant listings highlight DK Choice special recommendations. With hundreds of full-color photographs, hand-drawn illustrations, and custom maps that illuminate every page, DK Eyewitness Travel Guide: Hungary truly shows you this country as no one else can.